My uncle used to say, with pride, “Your Aunt Ali would never eat something just because it was good for her!” I’m with Aunt Ali. You will never see me tossing back a glass of apple cider vinegar! That sounds like torture to me, even if it has health benefits. I like to eat food that tastes good, which usually means food that is both flavorful and nutritious. The exception is when I make baked treats. Then I don’t think about nutrition—taste rules supreme. Alice Medrich’s new book, Flavor Flours, contains good examples of baking with ingredients because they taste good. 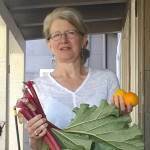 She uses unfamiliar, naturally gluten-free flours, such as teff, sorghum, corn and buckwheat, not because they are more nutritious (although they can be), but because they are delicious. These are not hippie-dippie recipes made with bran and carob. They are full of butter, eggs and sugar. 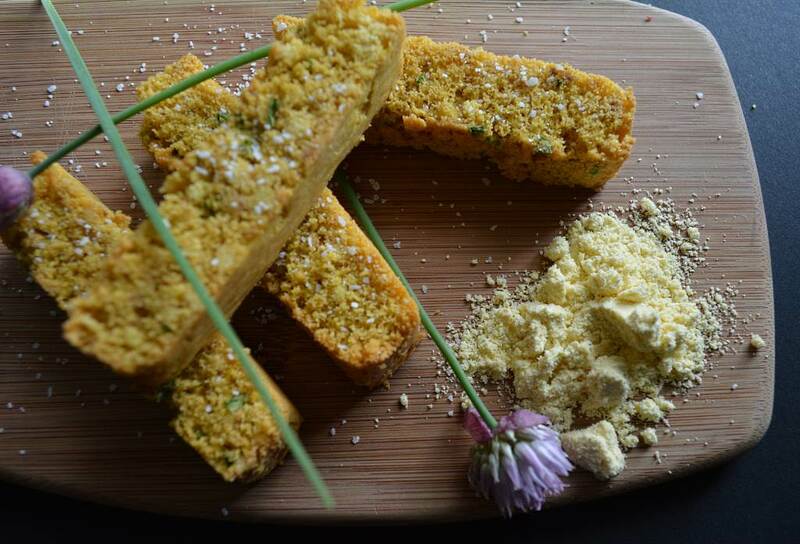 I was drawn to Medrich’s recipe for sweet or savory corn sticks, which calls for corn flour (not cornmeal). They are sensational. 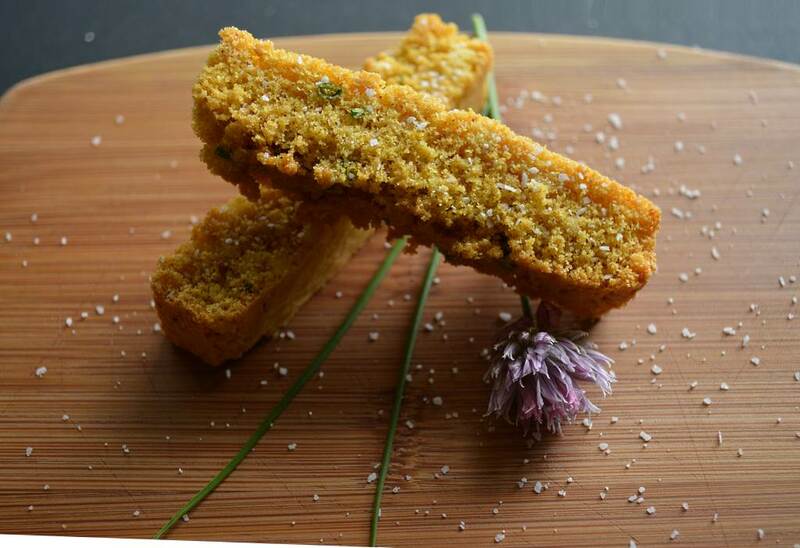 Initially, I made the savory version according to instructions, drizzling the sticks with olive oil and sprinkling them with coarse salt and paprika. The second time I decided to add fresh chives to the mix, which intensified its savoriness. 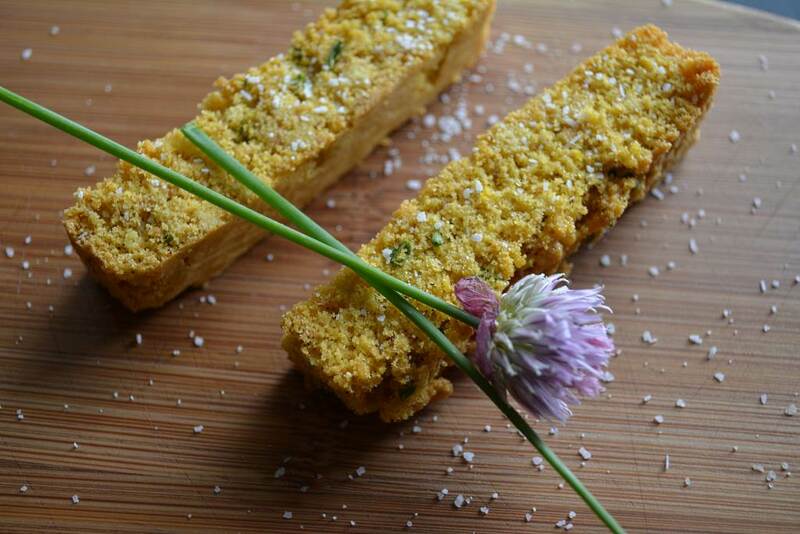 The green specks of chopped chive also seemed to give the sticks a certain sparkle. 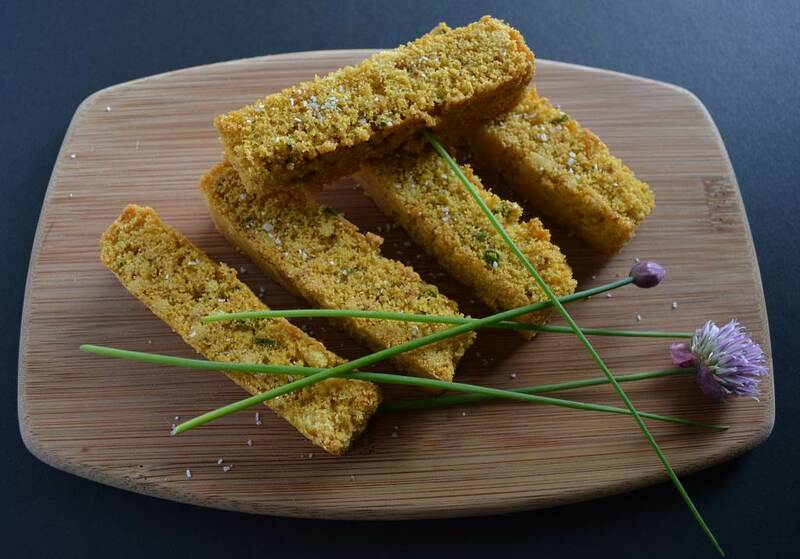 Corn sticks, sweet or savory, are easy to make, and remind one of biscotti, as they are twice baked. Crunchy, full of flavor and totally addictive, they are wonderful on their own, and even more wonderful spread with beet hummus (my new obsession, and the subject of my next blog). Last night I cut them into croutons to top my salad. I’ve also made them into bread crumbs. Have I mentioned that I like crunchy bits! These make the best bits ever. 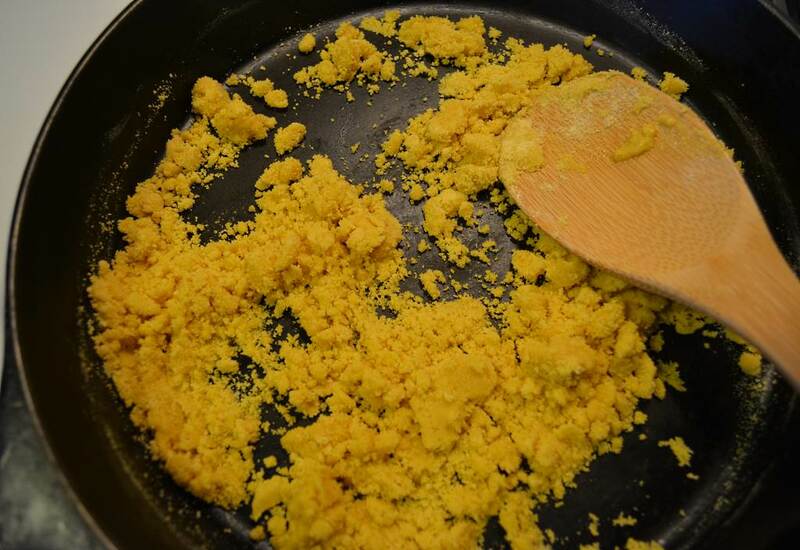 Cook the butter and corn flour until the mixture is slightly colored and smells toasty and buttery. Once the eggs are light and airy, gently fold in the corn flour mixture, then fold in the chives. The batter will be about 1/2 inch deep. Lay the sticks, cut side up, on an unlined baking sheet. Melt the butter in a large heavy-bottomed skillet ( a cast iron skillet works well). Take it off the heat, add the corn flour, and stir to coat all of the flour grains with butter. The mixture will have the consistency of slightly damp sand. Return the skillet to the stove and cook over medium-high heat, stirring constantly with a heatproof spatula or fork; scrape the bottom and sides of the pan, turning the flour, and spread or rake to redistribute it continuously so that it toasts evenly. Continue to cook and stir until the mixture colors slightly and smells toasted; it may begin to smoke a little. Toasting the flour will take 4 to 6 minutes. Scrape the flour into the lined baking pan and spread it out to cool while preheating the oven. 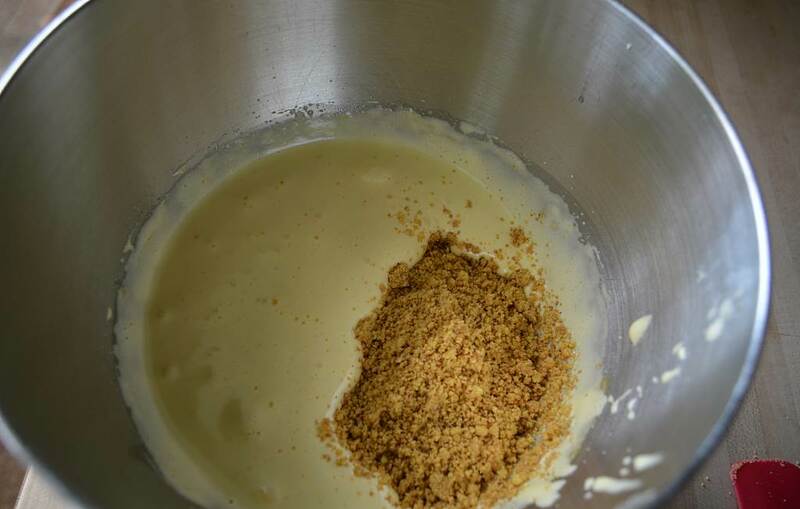 Combine the sugar, salt, baking powder, and eggs in the bowl of the stand mixer fitted with the whisk attachment (or in a large bowl if using a handheld mixer). Beat on high speed for 3 to 5 minutes, until thick and light. Poke and mash any large lumps in the toasted flour and then pour it over the egg mixture. Fold just until evenly mixed and then fold in the chives. 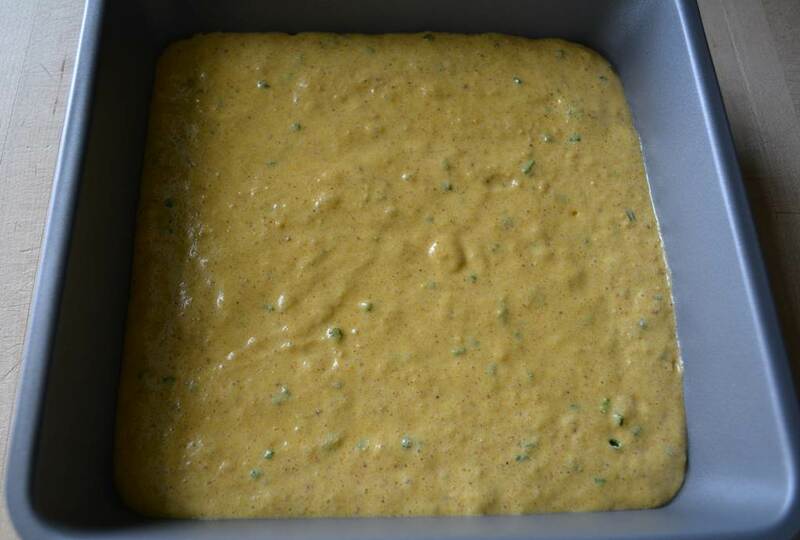 Scrape the batter into the lined baking pan and spread it evenly. Bake for 15 to 20 minutes, or until golden brown and springy to the touch. Cool on a rack. Lower the oven temperature to 300 degrees F. Slide a slim knife around the edges of the pan to detach the baked "cake". Invert the pan onto a rack and peel off the liner, then turn the "cake" right side up on a cutting board. Cut it in half lengthwise with a serrated knife. Cut each half crosswise in slices about ¾ inch wide. 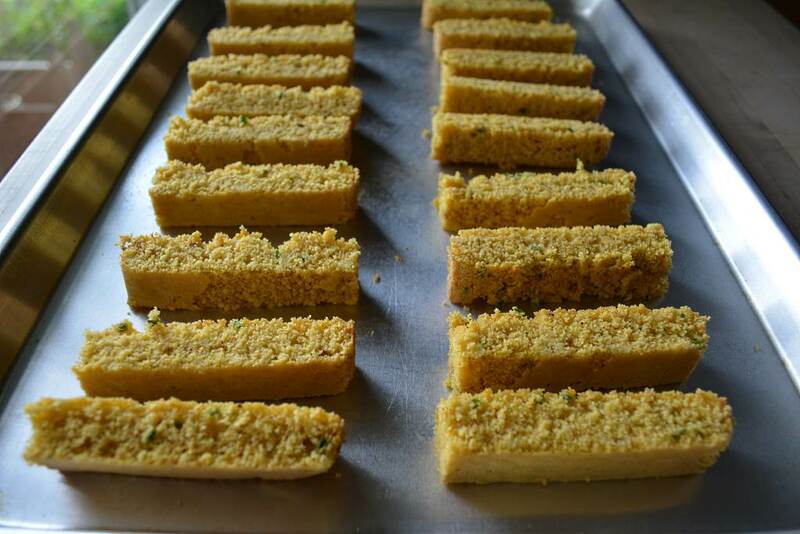 Arrange the slices slightly apart, standing up, on an unlined baking sheet. Bake at 300 degree F. for 20 to 25 minutes, or until slightly golden brown. Rotate the sheet from front to back about halfway through the baking time. Cool the sticks completely before storing. They may be stored in an airtight container for several weeks.